Valet is available nightly starting at 5:00pm. Very good! Thanks Oceanaire never disappoints! We had a table in the back for a more private setting so the noise wasn’t too loud at all which was perfect for the occasion. Food was fantastic and our waitress explained everything, like things we’ve never heard of. Very happy! A bit pricey but it was worth it for the occasion! This is a restaurant for people on a business expense account. Prices are very high, with portions small. 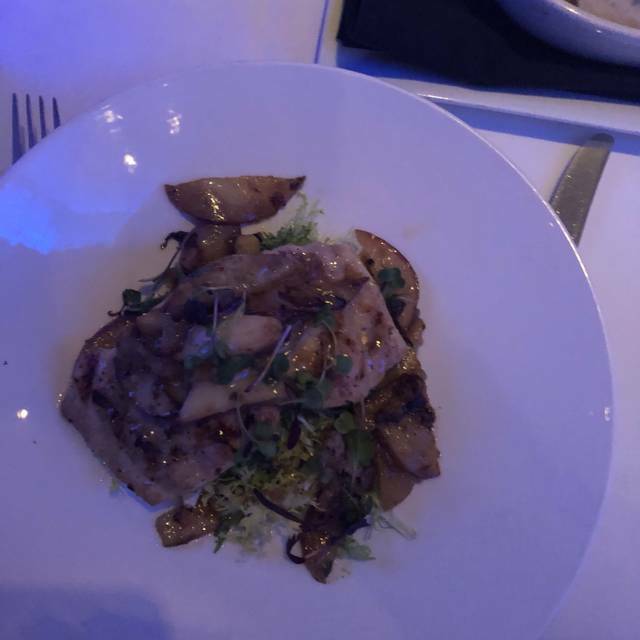 The quality of the food is mixed; the mahi mahi was dry and tasteless. As we were occasional customers, the receptionist was not welcoming. The waiter kept rushing us to choose our food, then we made bad choices. We enjoyed this restaurant in past year so, now never again we will eat there. 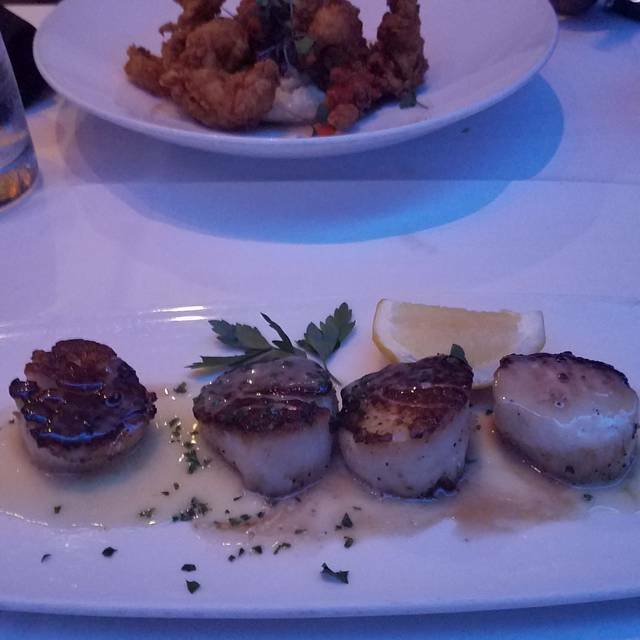 We were visiting from out of state and Oceanaire was recommended to us for seafood. I planned dinner for our last night in the city and my boyfriend told me to find something romantic and romantic it was! Our service was amazing and the ambiance was wonderful. We made a reservation for 8:45 for a table of 12 but when we got there we had to wait an additional 45 minutes before the table was ready. Also, the overall experience once we were finally seated was underwhelming. This was a mind blowing experience for me. The food was awesome, the service was awesome, the environment was awesome. I havn't been wowed like this in a very long time. I can't wait to go back. Truly loved our food and our server was outstanding but there was a table beside us that was so loud we couldn’t even speak to one another. They were literally screaming at each other. The consideration of using their inside voice was not an option and we quickly paid our bill and got out of there. It was also my birthday dinner so I was rather annoyed by their inconsideration of others trying to dine. I arrived late and the hostess was very accommodating. The food was wonderful. I would have liked a little time between the oysters and the Dover sole. the service was very good. I did noted that it was a date, and we were seated at perfect table. Thank you! Our waiter was attentive and professional. Wonderful food, wonderful service. This was a treat. Our waiter was so nice and helpful with the menu. The atmosphere is upscale and relaxing. The seafood is very fresh. We had the Ahi Tuna steak sushi grade rare and was outstanding flavor and texture. 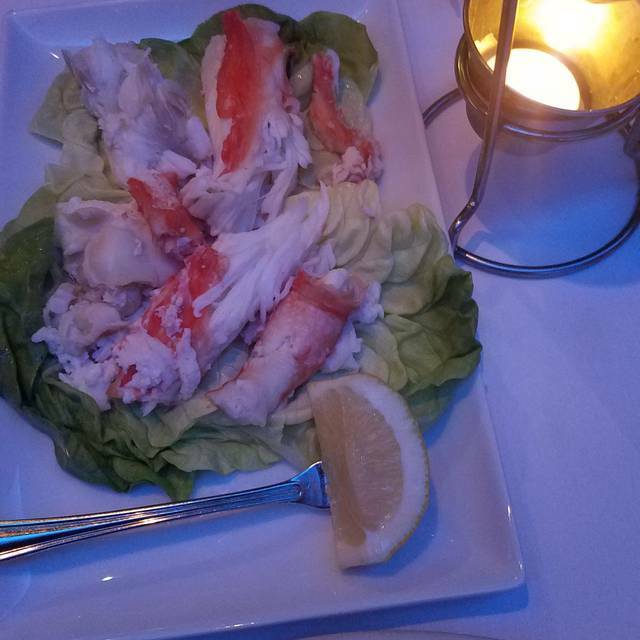 We also had the Alaska King Crab 2lb dinner which was one large leg and 2 huge knuckles which I thought was not going to be enough but when all the meet was pulled it equalled to exlarge crab cakes. 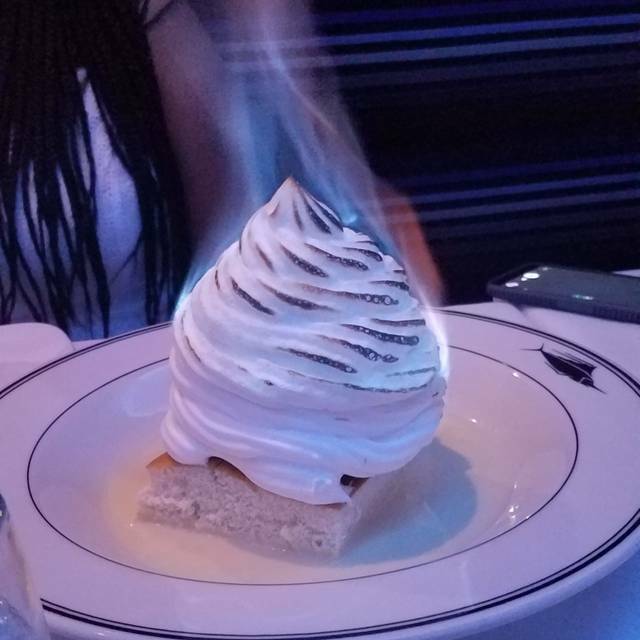 We also had the Baked Alaska which was a fun presentation and tasted great. It was huge so definitely a dessert to share! The service was top notch. Our server "Minor" was very friendly, knew the menu, made great recommendations and checked on us frequently. If you are attending an event at the Warner as we were it is just around the corner. 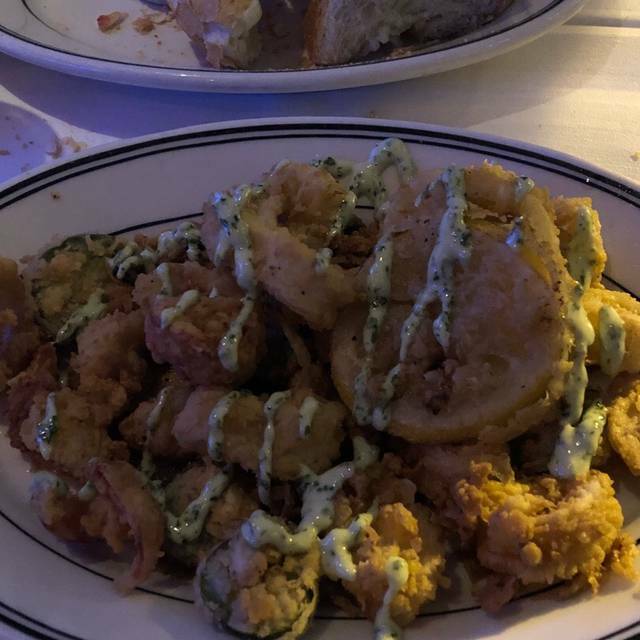 We will be returning to Oceanaire Seafood Room with friends in the near future! Went on a date night. Food was above average however for the price there are better options available. Everything went well, but my steak came out cold. My date had to eat while I was waiting for my steak. I was actually upset that they still charged me for the steak. Most restaurants will take that out. Although I like the rest, the fact that they didn't comp me in anyway, does not make me want to go back. It's not about the money, but i am a regular customer and I host seminars all the time at this restaurant and for them to do that to a regular customer, just does not sit right with me. I loved it. Great every time! I just wish the one back home in Miami never closed. Great food, great service, and a nice atmosphere. A bit pricey though, but I guess it's worth it for a special occasion. 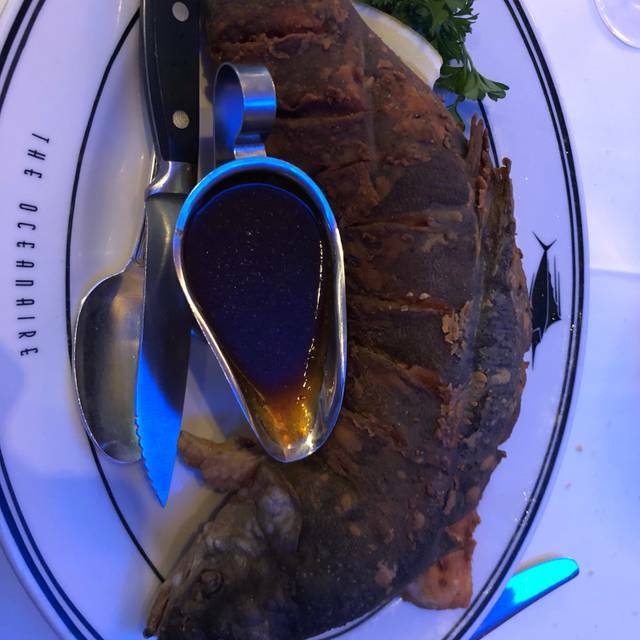 We had a wonderful meal at Oceanaire. We are never disappointed. There was a party in the bar and we were in a booth on the other side, but it did not disturb our meal or conversation in the least. Always a good choice for seafood! Amazing! Once again this place did not disappoint. From the moment we walked in to the time we left everyone was very attentive and personable. The food from the oysters to entree and dessert was just amazing. I highly recommend this place. 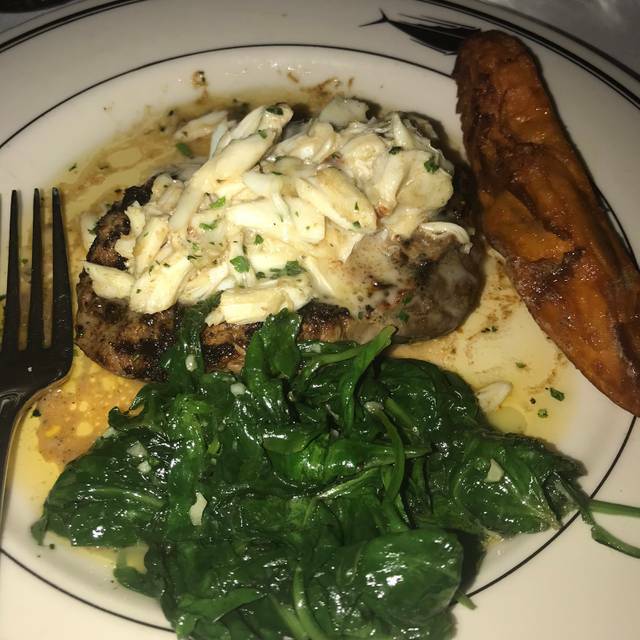 Food was okay; seemed terribly overpriced for what appeared on the plate...definitely equal and better quality/presentation available in DC area for a lesser price tag. btw: have eaten here twice before and prices have definitely gone up! This remains one of the best places to eat seafood in the whole world. The oysters were excellent, as always. The Dover Sole was a rare treat; perfectly cooked, expertly prepared at the table. Our server (Courtney from Georgia?) was great and her service was impeccable. The service and food made my evening with my son and daughter-in-law a great memory. I love going to Oceanaire. It is one of the older, more established restaurants in town and it is easy to overlook it with all the new and exciting eateries around town. However, make no mistake... the food here is incredible and probably the best seafood selection in town. Huge fresh oyster selection and a crab meat cocktail that is to die for with huge chunks of crab. If you have a steak eater in your group - they'll also have great options. All around, a great steadfast location that has withstood the test of time and deserves to be considered alongside some of the shiny new restaurant objects that tend to distract us in this town. Very rushed meal and the place was half full. Martinis arrived but no oysters ever appeared. Got the salad halfway through the martinis. Then the entrees came. Food was quite good. Service...not so good. I am day dreaming about the meal i had. Especially loved the shrimp and grits. Amazing food! The Seafood was very fresh and everything tasted amazing. Beautiful restaurant with an amazing, friendly and warm staff. We will be back!! A great evening. Cortney was marvelous. The food was over the top. Everything is always fantastic here. 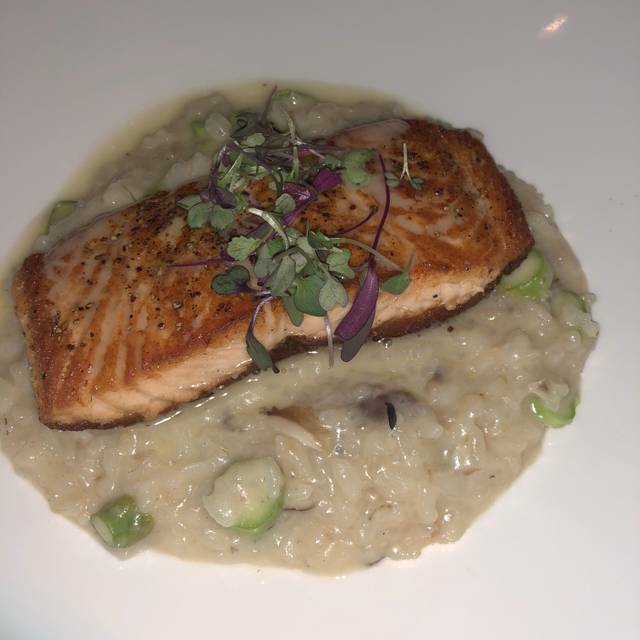 From Fernando's warm and friendly greeting at the host stand, to the hot,c rusty bread and crisp veggies, to the delicious and fresh seafood; Oceanair is always a fantastic experience. As usual though, the desserts can never keep up with the seafood in terms of deliciousness. Maybe add a warm butter cake to the menu, or change out the layers on the chocolate cake to actual cake so its not such a dense nightmare (and whose awful idea was it to serve it with chocolate ice cream of all things?). Anyway, despite the desserts, I'm sure we'll be back soon! The food was wonferful. The service was great but the seating wasn't to my liking. They set us next to a privite party and it was a lot of traffic around my food and area. I only make this a big deal because it was my 30th Birthday dinner. Fantastic. Everything was perfect. Cannot say enough about Miner, our server. He knows the menu, made sound recommendations, was personable without being intrusive, attentive without being overbearing. This had been one of my favorite restaurants until we had a less than pleasant experience with a server. It was a plus when the manager acknowledged the incident as he checked on us during the evening. Thank you all for a great evening. Food and service were excellent. Marcus was phenomenal! Great seafood and service. Everyone at our table was happy with their dishes. I almost downgraded it a star because it got somewhat noisy at times but restrained myself because everything else was great. 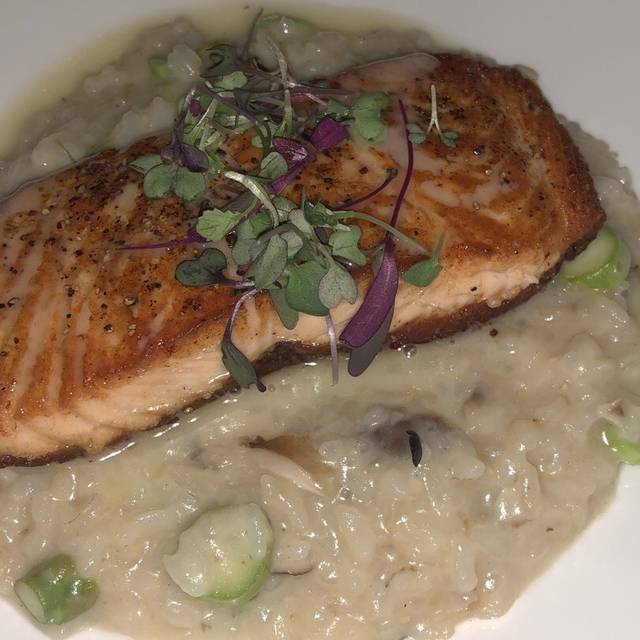 Excellent food, service, and great place to take friends!